Bill Oliver’s introspective piece of imaginative sci-fi dwells on a curious condition for one man while eschewing special effects. Jonathan is about one body being shared by two separate minds. One mind is unconscious while the other is active. The two brothers share each day in one body, unaware of what the other brother is doing as they take turns at control. Having shared a body since birth, the two have developed an elaborate set of rules to manage their living situation. Jonathan requires a huge suspension of disbelief and moves at a snail’s pace for what is a potentially interesting concept. 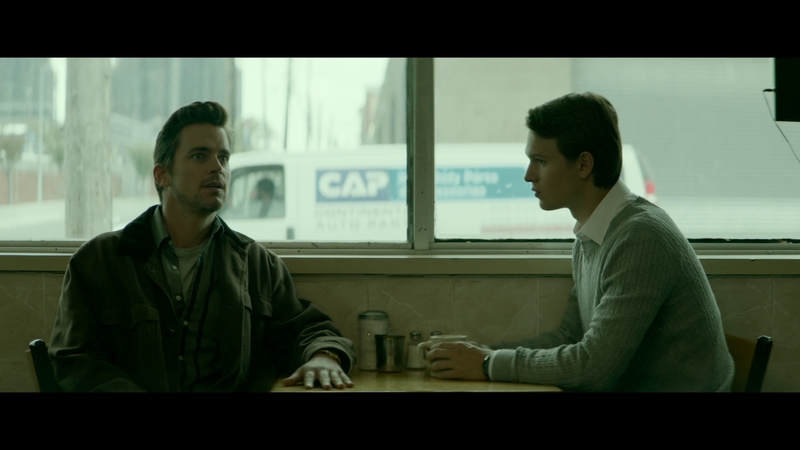 Jonathan stars Ansel Elgort with an excellent surrounding cast of Patricia Clarkson, Suki Waterhouse, Matt Bomer, and Douglas Hodge. If the movie fails as pure entertainment, it’s not the cast’s fault. Director Bill Oliver’s ambitions for Jonathan exceeds his grasp in this serviceable but very dry science fiction journey. While I wouldn’t consider Jonathan a complete success, Oliver’s attention to detail and thoughtful storytelling in the movie tease great things in his future. 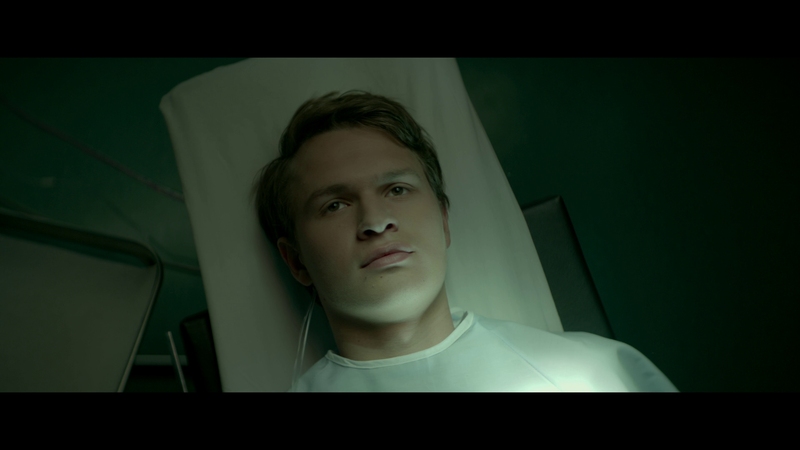 The sci-fi-tinged drama has Ansel Elgort playing two brothers, living separate lives inside the same body. One goes by Jonathan, while the less regimented brother goes by Jon. Despite having the same body, they are distinct people with differing personalities and aspirations. Previously content to live life in shifts with one another, their delicate balance is ruined when they become emotionally involved with the same woman. John secretly becomes involved with Elena (Suki Waterhouse), breaking one of the rules both brothers have followed their entire lives. She’s unaware of their condition. 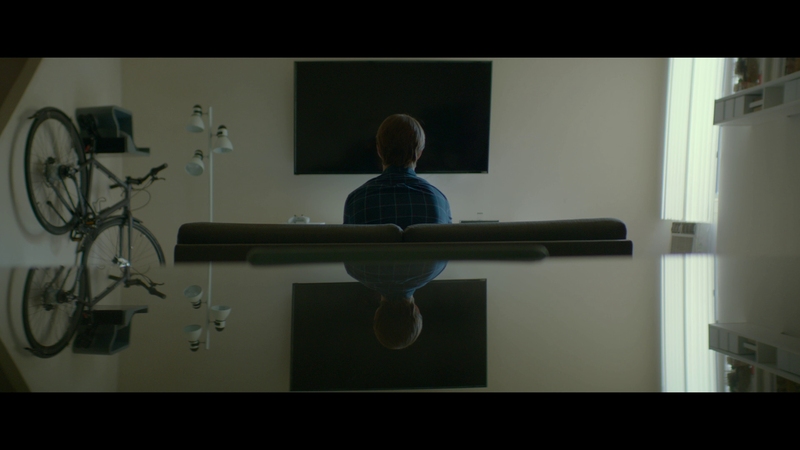 The secret relationship upsets Jonathan, the more introverted and disciplined brother. He demands John end the relationship immediately. Talking to each other through the use of recorded video for updates, Jonathan and John’s careful arrangement begins falling apart. Elena meets Jonathan and discovers the brothers’ secret. Romantic feelings get involved that lead to one of the weirdest love triangles in screen history. Jonathan is a carefully crafted film with excellent performances. Somewhere along the way it gets too caught up in Jonathan’s exotic condition and forgets that great movies are usually more about characters than great ideas. It relentlessly explores the implications of two minds sharing a single body, which leaves little room for mystery and letting the audience fill in the blanks themselves. The screenplay spends too little time with the second brother, undercutting dramatic developments seen in the final act. There are also some tantalizing teases hinted at from the maternal figure in the brothers’ lives, a scientist played by Patricia Clarkson, that go completely unexplored. Jonathan is less a movie about Elena’s relationship with the two brothers, than it is about the two brothers’ disintegrating relationship. Jonathan is a cautious recommendation if you enjoy slow, contemplative sci-fi drama with excellent performances. But the careful movie is going to miss for many viewers bored by indie fare. It feels like a decent episode from The Outer Limits or The Twilight Zone padded out to feature length, undercutting its entertainment value in the end. Outside of a few stray blips in the AVC compression, Jonathan has largely impeccable video quality courtesy of glossy aesthetics and pristine cinematography. Distributor Well Go USA presents the movie at its original 2.40:1 aspect ratio. The main feature runs 100 minutes on a BD-25 at fairly average parameters. The 1080P video contains excellent detail with muscular definition. 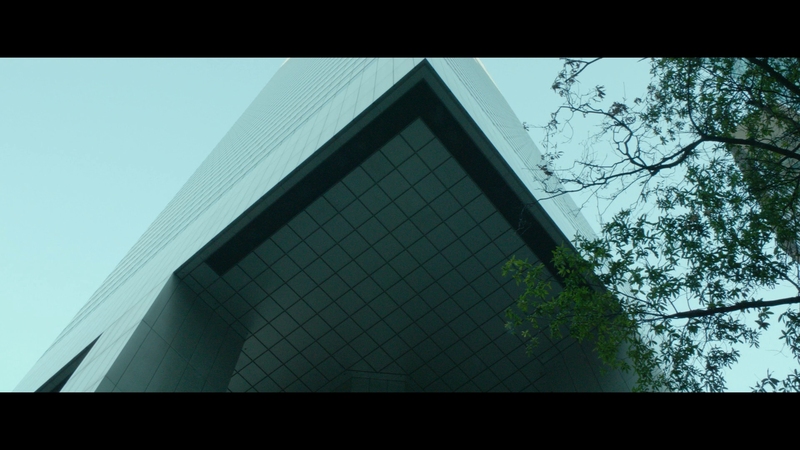 The indie production has clearly been shot on digital with clean, well-mannered cinematography. There’s a mildly futuristic aesthetic to the entire movie that touches everything in the production design, from the settings to its lighting. Jonathan has nigh perfect clarity and focus. The palette avoids brightly saturated colors for an extremely neutral color scheme. Some may call it bland and passive in tone. While Jonathan lacks the startling, high-driven imagery of the latest Hollywood blockbuster, this Blu-ray presentation is near reference quality. Jonathan is largely a dialogue-driven affair and the modest 5.1 DTS-HD MA soundtrack reflects that with minor surround activity. The soundtrack is clear, precise and has a few interesting musical flourishes in the moody sci-fi score. The occasional exterior scene in the city provides some ambient support and other cues in the rear channels. Some directional panning is employed for effect. This is an adequate surround mix for an indie drama without a lot of action. Optional English SDH subtitles play in a white font, remaining inside the 2.40:1 widescreen aspect ratio. Independent distributor Well Go USA provides only a smattering of trailers as extra features. A slipcover is available like most other Well Go USA Blu-ray releases. The Endless Trailer (02:08 in HD) – Plays before the main menu and can also be selected from the menu. Trailers for Burning and Shadow (03:54 in HD) – These trailers play before the main menu and can also be selected from the menu. A decent but slow piece of speculative sci-fi that is going to miss for viewers not used to indie fare. 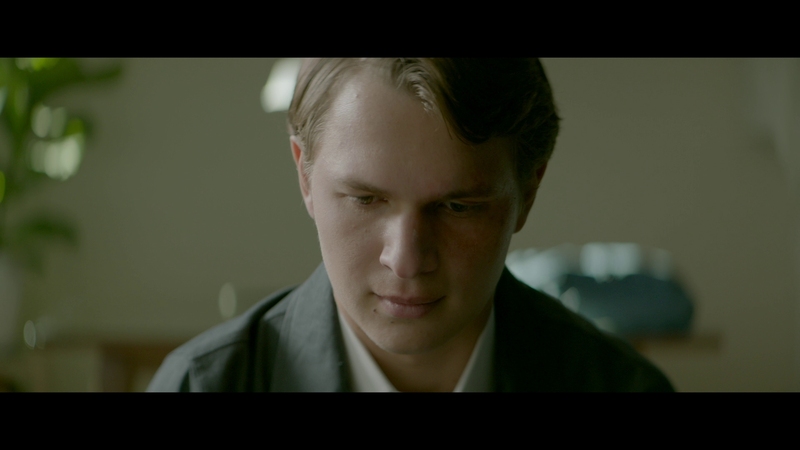 A strong lead performance by Ansel Elgort is its saving grace. The unaltered images below have been ripped from the actual Blu-ray. For an additional 22 screenshots taken from Jonathan, early access to all screens (plus the 20,000+ already in our library) in full resolution, dozens of exclusive 4K UHD reviews and other perks, support us on Patreon.